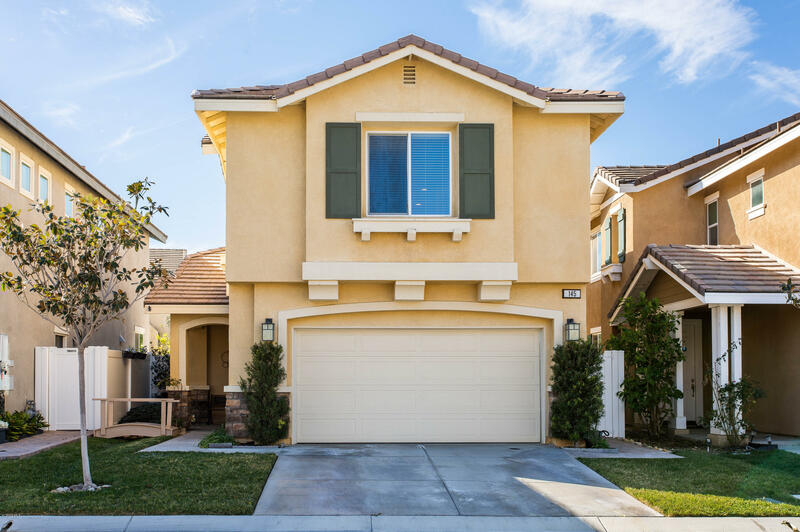 Lovely 3 bedroom, 2.5 bath home in gated neighborhood on cul de sac. This home has granite kitchen counters, gas range, new dishwasher and walk in pantry. The family room is open to the kitchen with room for dining. Under the staircase is a special hide out for the kids. The master suite has a separate oval tub and shower plus walk in closet. The backyard is totally fenced with vinyl fencing, built in gas barbeque, artificial grass and stamped concrete. Don't miss out on this wonderful home andneighborhood.